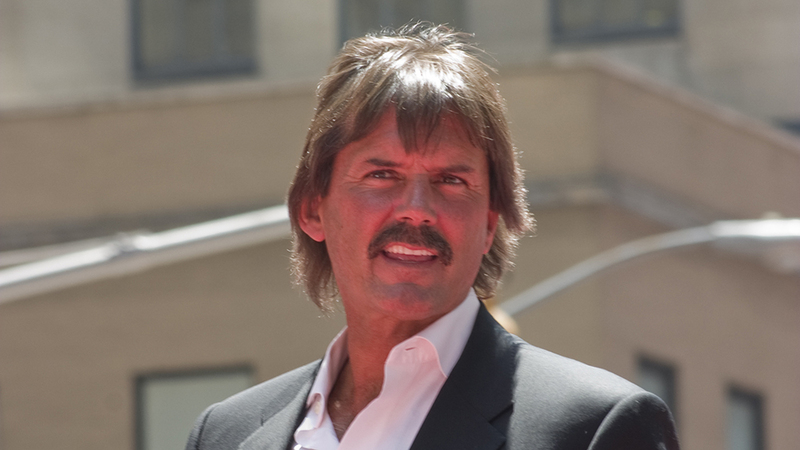 The common assumption made about Dennis Eckersley— that he was a solid but failed starter turned Mount Rushmore all-time reliever— is one that has always bothered me on both ends. Not that I view Eckersley as anything less than a great reliever. Rather, it’s that the all-time great status so many have conferred on him is, I think, a bit of an exaggeration . But it’s his overlooked performance as a starter that bothers me the most. To view Eckersley as anything less than one of the most dominant starters in baseball from the mid-’70s to the mid-’80s does a disservice to what I think has been one of the most overlooked parts of his career. As a 20-year-old rookie, Eckersley had the type of season you would expect out of a blue chipper, posting a 2.60 ERA that was third in the American League. His 152 strikeouts that year were 10th in the league. His 144 ERA+ in 1975 has been topped only twice by a pitcher 20 or younger, first by Dwight Gooden in 1985 and then by José Fernández in 2013, company that should give people a good indication of just how great Eckersley was out of the gate. In 1976, Eckersley would suffer one of the hardest luck seasons in history, had just a 13-12 record despite posting a 2.72 FIP, third in the American League. His 9.03 K/9 was second only to Nolan Ryan in the AL. The following season, Eckersley would lead the league in strikeout-to-walk ratio while also finishing second in the AL in WHIP, but had another pedestrian record of 14-13. The key to Eckersley’s success, even early in his career, was his ability against right-handed batters. From 1975 through 1977, they mustered only a .172/.245/.279 line against him. For some right-handed hitters, Eckersley was as tough a matchup as there was. Doug DeCines managed just two singles off him in 23 plate appearances during that time; Bert Campaneris fared little better going, only 2-for-24 with a walk in 26 plate appearances. Sabermetric darling Bobby Grich was 0-for-21 against Eckersley during this period, and Hall of Famer Robin Yount, who had the most plate appearances of any right-handed Eckersley faced, managed to hit just .152 in 35 plate appearances without registering a single extra-base hit. The right-handed heavy 1975 Tigers collectively hit just .217 off Eckersley and were defeated by Cleveland in all four of his starts. Eckersley also bested the similarly right-handed hitter 1975 Orioles in all three of his starts against them, posting a 1.01 ERA against Baltimore in the process. Following the 1977 season, Eckersley would find himself on the move to one of the American League’s best teams in the Boston Red Sox, a team where his ability against right-handed hitters would be appreciated. In his first year in Boston, Eckersley went go 20-8, with an 11-1 record in the right-handed pitcher-friendly Fenway. His 2.99 ERA was seventh in the American League, while his 268.1 innings was 10th. Those statistics provided the backbone of a fourth place finish in Cy Young voting and established Eckersley as one of the best right-handed pitchers in baseball. He duplicated his 2.99 ERA in 1979 while going 17-10 and posting numbers that were nearly identical to his 1978 season, once again finishing in the top 10 in innings pitched, WHIP, walks per nine innings, and strikeouts per nine innings, with a league-leading 149 ERA+. Eckersley is featured prominently across the American League leader boards of the last five years of the 1970s. Amongst pitchers with at least 600 innings pitched, Eckersley was seventh in the AL in both ERA and WAR, and 12th in FIP. His 6.7 strikeouts per nine inning were fifth over that span, placing him behind only flamethrowers Nolan Ryan, Ron Guidry, Frank Tanana and Bert Blyleven. All of this seemed to point to a pitcher who would be one of the great hurlers of the 1980s, but personal problems and injury issues would soon put a damper on the high expectations Eckersley had set for himself. Eckersley’s 1980 saw his first a step backward. His ERA ballooned all the way up to 4.28; his ERA would be similarly high in 1981 at 4.27 Although he was as tough as they got against righties, it was a different story against lefties, who consistently batted in the .280 range against him. Eckersley had been able to make up for this in prior seasons given his stats against righties, but by, 1981 even they were hitting .238 off him. Still good, but a far cry from the Gibson-like dominance he had enjoyed just a few years earlier. Eckersley would have another solid but not spectacular season in 1982 before completely bottoming out in 1983, posting a whopping 5.61 ERA in a little over 176 innings pitched on the year. That year, Eckersley’s dominance against righties truly collapses, as they batted .291 off him, while all opponents as a whole hit .303. July of 1983 would mark arguably the low point of Dennis Eckersley’s career. He gave up six runs or more in four of his six starts that month, including one outing when the scored seven runs against him in less than two innings. For the month, Eckersley had an ERA of 8.44 in 32 innings of work. The 1984 season started similarly rocky; he had an ERA north of five before being traded to the Chicago Cubs in late May. Then, through his first seven starts with the Cubs, Eckersley;s record stood at 1-5 with a 5.57 ERA, and he was in danger of not just being pulled from the rotation but likely released, possibly for good. But something clicked for Eckersley starting in July. In his remaining 17 starts, Eckersley would go 12-5 with a 2.13 ERA in 118.1 innings pitched. For comparison, Rick Sutcliffe, who won that year’s Cy Young based mainly on a strong second half that saw him go 12-0, posted 2.93 ERA after the All-Star game. Their combined efforts spearheaded a .623 winning percentage in the second half and led the Cubs to their first postseason berth since 1945. In 1985, Eckersley, despite injuries that limited him to 169.1 innings, he was 11-7, his 3.08 ERA and 4.3 WAR were his best since 1979, and his 2.84 FIP was the best he’d had since 1976. A .969 WHIP was third in the National League, and his 6.16 strikeout-to-walk ratio not only led the league but was the best by any NL pitcher since Ferguson Jenkins in 1971. It looked like the Eckersley of the late ’70s was back, but 1986 would be a cold shower of reality as he would once again stumble, recording an ERA of 4.57. He would struggle against lefties, who hit .300 off him that year, but he was little better against righties, who batted .265. Eckersley’s 10.1 hits allowed per nine innings was the second only to his terrible 1983 season. The offseason would see him go into rehab for alcohol, and it looked like his career could be over. Just before the start of the 1987 season, Tony LaRussa and the Oakland A’s dealt three minor leaguers for Eckersley and infielder Dan Rohn, who would never play a single game for Oakland. The move barely registered in the news cycle, but it would prove to be one of the final pieces of a roster that would make Oakland the best team in the American League for the next half-decade. Initially a middle reliever, Eckersley, along with Gene Nelson, was shifted into a “closer by committee” role in July as Oakland’s previous closer, Jay Howell, suffered from inconsistency and injuries. By early September, Eckersley had won the job outright. His real coming-our party as a closer was 1988. He led the American League with 45 saves while posting a career-best 2.35 ERA over 72.2 innings pitched. Although Eckersley finished second in the American League in Cy Young voting that year, it is also where I think his reputation as a dominating reliever starts to become exaggerated. Doug Jones of the Cleveland Indians hada 2.27 ERA in 83.1 innings pitched and saved 37 games, yet didn’t even register in the Cy Young voting. Bryan Harvey of the Angels also had a solid season, putting up a 2.13 ERA out of the bullpen in 76 innings but he didn’t get a single Cy Young vote either. In fact, the best reliever in the American League that year, in my opinion, was Mike Henneman of the Tigers, who had a 1.87 ERA over 91.3 innings pitched. None of this is to say that Eckersley wasn’t dominating in 1988, but it’s hard finding any justification beyond his save total for being the only reliever to garner a Cy Young vote that year. The next season was the start of Eckersley’s peak effectiveness. He had a microscopic 1.56 ERA and a 2.19 FIP along with 33 saves en route to a World Series title. It is impressive by any measure, but once again, other relievers in the American League put up as good if not better numbers without getting the same recognition. The most notable of these is arguably Jeff Montgomery, who put up a similarly small 1.33 ERA and a 2.02 FIP but pitched 92 innings as opposed to Eckersley’s 57.2. Montgomery received no Cy Young votes. Then came the high water mark of Eckersley’s career. In 1990, he had an insanely low 0.61 ERA while walking just four batters in 73.1 innings. Combined, his 1989 and 1990 seasons produced a pitcher with a 1.03 ERA over 131 innings pitched, a 1.71 FIP and a 128-7 strikeout-to-walk ratio. The only knock on Eckersley’s record is the fact that he didn’t even rank in the top 50 for innings pitched among relievers over these two seasons. A look at the relievers with 4.0 WAR or more over those two seasons shows Rob Dibble with a sub-2 ERA, but with 66 innings more pitched, roughly the equivalent of a full season out of Eckersley. It’s also worth noting the presence of Larry Andersen, who also posted a sub-2 ERA in both 1989 and 1990, but failed to make the All-Star team in either season. In 1991, Eckersley would experience a bit of regression, as his ERA went up to 2.96, which, while consistent with what you’d expect out of a top-tier closer, was not the lights-out dominance he had shown the previous two seasons. Then came his Cy Young season, 1992, during which Eckersley had a 1.91 ERA over 80 innings, a 1.72 FIP and 51 saves, which led the American League for the second time in his career. This would also be the last dominating season of his career. Although Eckersley wouldn’t relinquish the closer’s role until the final year of his career, his ERA from 1993 onward was a mediocre 4.15. His save totals in these years are an example of why I would advise against putting much stock in the stat. His 1997 season resulted in three more saves than his dominating 1989, despite posting an ERA more than two runs higher, pitching fewer innings, and recording a FIP nearly double of what it was in 1989. Eckersley’s as a sub-par starter and a Mount Rushmore quality reliever does a tremendous disservice to both to how good Eckersley was as a starter and how good his reliever counterparts were relative to him during his run of dominance. For pitchers through their age-30 season, Eckersley’s WAR is comparable to that of both Dave Stieb and Fernando Valenzuela, two pitchers who nobody would regard as being just “average.” Regarding WAR, Eckersley ranks 19th among pitchers through their age-30 season. Among relievers 31 and older, Eckersley is arguably the second best of all time, trailing only Mariano Rivera in WAR. If you add these two components together, I believe it results in a Hall of Fame pitcher. But given an option between which Eckersley I would want on my team, I would probably take the ’70s Eck over the closer Eck. I don’t think the difference is as pronounced once you begin to adjust for how good other relievers and starters were at the time, and the ’70s Eckersley could give you four times the number of innings . Since 1934 Eckersley is one of just six Red Sox in history to record back-to-back sub-3 ERA seasons. Of the four others to have pitched since World War II, two (Pedro Martínez and Lefty Grove) are in Cooperstown; one is Roger Clemens, and the other is Chris Sale. Those examples are much closer to the level of pitcher Eckersley was at his best than a mediocre starter who found life as a reliever. In essence, Eckersley is far closer to John Smoltz than he is to Andrew Miller or Wade Davis. Paul Moehringer is a data analyst, a SABR member and inventor of the Pyramid Rating System; originally from Mount Olive, NJ, now living in Westwood, MA. Follow him on Twitter @PMoehringer. “Eckersley is one of just six Red Sox in history to record back-to-back sub-3 ERA seasons.” Yes but barely. He recorded two consecutive ERA’s of 2.99 in ’78 and ’79. I assume you are referring to starting pitchers in this statement, which in and of itself is remarkable. If not, then throw in the great Sparky Lyle who achieved the feat in ’67, ’68, and ’69, though in relief.